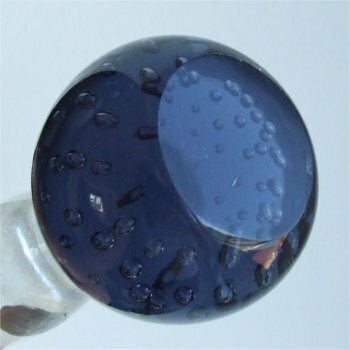 This blue based vase is approximately 222mm (8 & 3/4") tall. 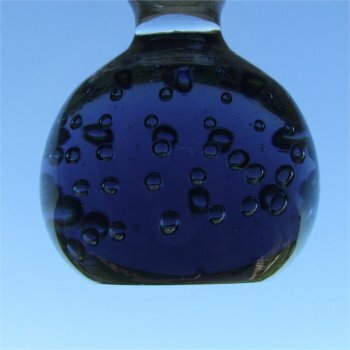 It has graduated bubbles in the base smaller at the top, mainly going around the ball. 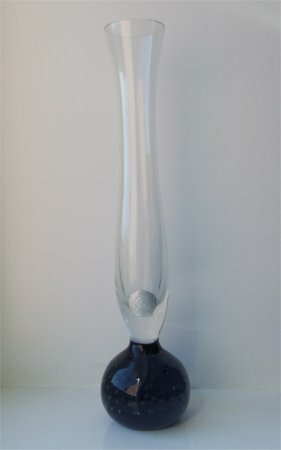 The bottom of the base has a flat and polished finish. The stem is clear and slightly bulbous at the bottom and flares out at the top. It is approximately 30mm (1 & 5/16ths") across the top. The label is a shell shape being straight across the bottom and scalloped around the rest. 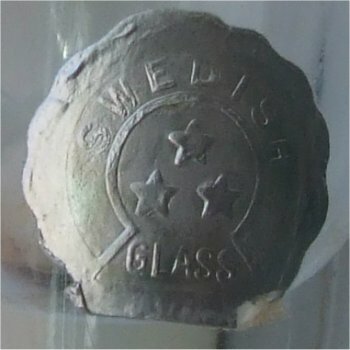 It is a very faded silver with embossed writing which states "SWEDISH (across the top) GLASS (at the bottom)" and three stars in the middle (see images below).